CATH Sattler has been appointed as a Galaxy United soccer coach for the 2016 season. Some say Cath was born with a soccer ball at her feet. Certainly her passion for the game runs deep. 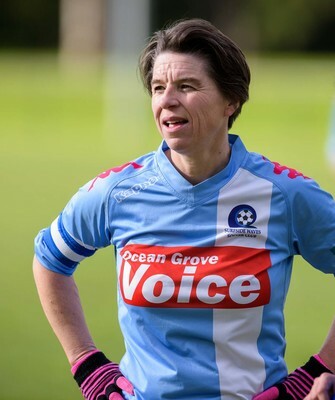 A veteran of the game at 48, she still plays, and was welcomed back warmly by Surfside Waves when she returned to the club for the 2015 season. Co-captaining with pride, positivity, determination and hard work – all of the virtues she expects of every player she either plays alongside or coaches. Last year she co-coached the Surfside under 16s as well as being assistant coach to Galaxy’s under 14 squad and program manager and coach for the miniroos kick off age three to nine program. Midseason she took on the vacant role of club secretary for Surfside as well. To say it was a busy year for Cath was an understatement. Making both grand finals for the under 16 girls and the senior women’s Surfside teams was estament to her tenacity, hard work and leadership. 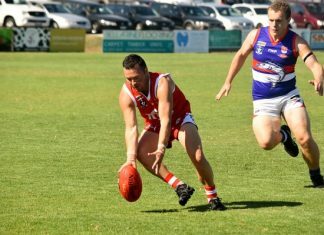 Cath won the league best and fairest for a fourth time with a record breaking 30 votes. But if you talk to Cath all she wants to talk about is the future of the sport, how we can get more girls playing and how the women’s leagues can be seen on an equal footing to their male counterparts. Cath has been involved in coaching for many years, and is inspired by Galaxy United. The whole ethos of the club is about developing female players. Sadly she never reached her full potential as a young player, giving up the game, disillusioned with what it had to offer in the 1980s and 90s. So when Galaxy United was granted a WNPL licence she was incredibly excited about the prospects for young female players in the region who at last have the chance to play at the highest level. Talking to Galaxy about how she could still be involved was a high priority and recently she was offered a role as player welfare coach and mentor across the under 13, 15 and 18 age groups. A vital role in the coaching of young people is to make sure they rehab from injury, have someone who can lend them an ear and who understands what it’s like being a player.